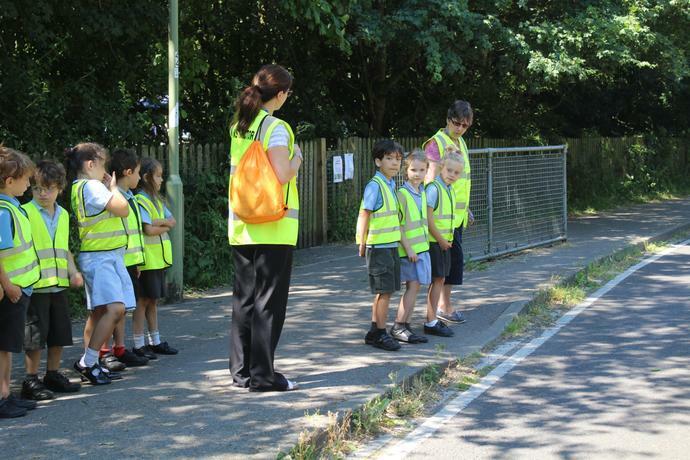 A JRSO, or 'Junior Road Safety Officer', has a very important role. 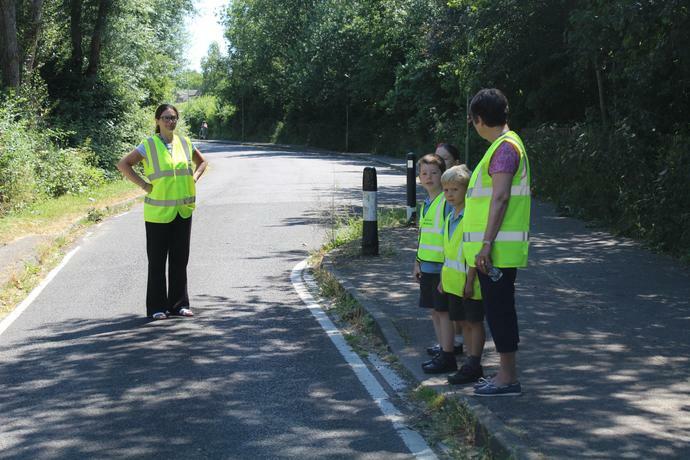 Their job is to work alongside Mr Cannons to promote road safety around school and the community to make sure everyone in the village is safe. They are also responsible for promoting sustainable ways of travel to keep our air clean. 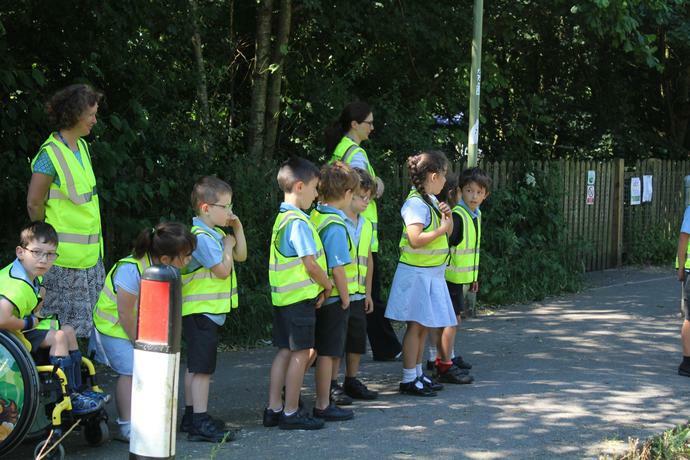 We also have a team of Year 4 Road Safety Ambassadors - they work with the JRSO's to help spread the road safety knowledge whilst in the school grounds. Our JRSO's and Road Safety Ambassadors organise many road safety events throughout the year, so keep your eyes peeled! eyes peeled for coinciding early opening events at the Rising Sun. We are excited to start this partnership and look forward to seeing you stride! Our JRSO's do a fantastic job of encouraging participation in competitions and national initiatives, such as our Big Pedal. In the summer term, they worked with our Year 2 children to create a cycle safety banner, complete with slogan. 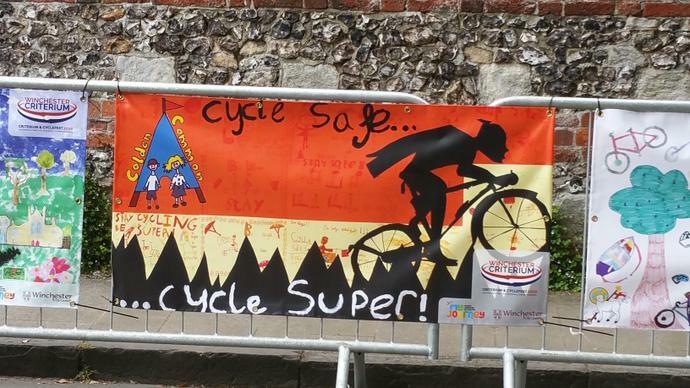 The banner was entered into the Winchester Criterium and Cyclefest competition and was put on display in Winchester town centre. It works wonders at reminding children about safety when cycling. You can now see it proudly displayed by our bike sheds. Remember, 'cycle safe, cycle super!'. 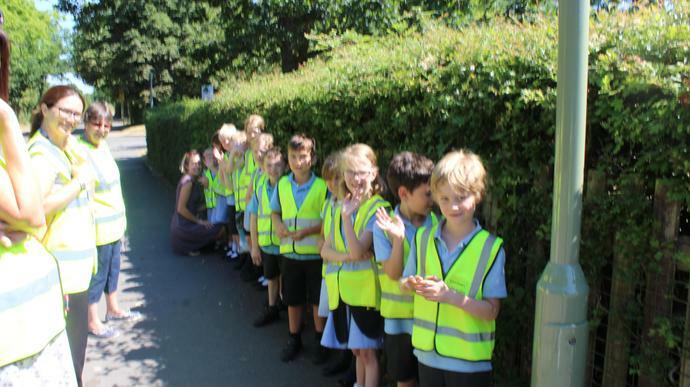 In the summer term, Year 2 participated in their ‘Streets Ahead’ pedestrian skills training. They had fun out on the playground learning about the Green Cross Code and the dangers to look out for when trying to cross the road. They loved taking part in role play activities – they took on the roles of everything from children to adults to cars and there was even a dog! They didn’t stop there, though! After their playground role play, it was time to put their skills to the test. In small groups, they donned our ‘be bright, be seen!’ high vis jackets and headed out into the village to cross some real roads safely. 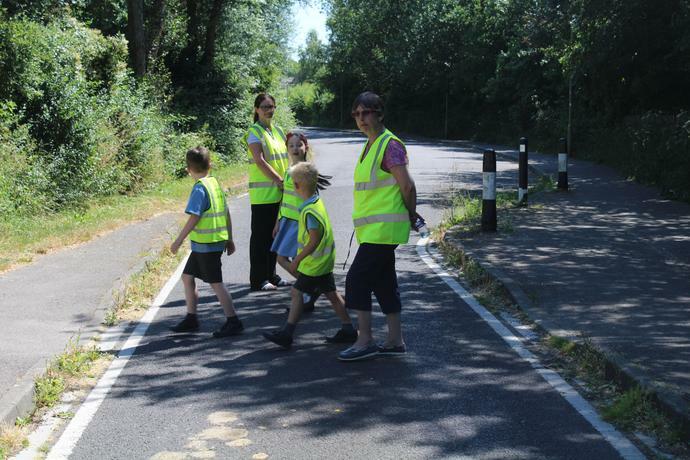 They have practised at several locations around Colden Common, so be sure to ask them if you need any advice on how to get around the village safely! They also completed activities in their Hampshire Road Safety booklets along the way to each earn their ‘Streets Ahead’ prize. A big ‘thank you!’ to the staff and parent volunteers that helped us carry out the activities! Mr Cannons is in charge of making sure our Travel Plan is kept up to date. 'What is a travel plan?' you might ask...every school should have a travel plan to keep track of everything they are doing to promote safe, sustainable travel at school and within the local area. It identifies targets that we can work on as a school to make sure we are as 'green' as we can be. This not only involves initiatives like the Big Pedal, but also involves educating our children as to the benefits of sustainable travel methods. You may remember receiving surveys about your own travel to and from the school, and each year a 'hands up' survey is done with the children to see the impact our efforts are having on how they travel to school. I am very proud to say that we have achieved the Modeshift Stars Bronze award for our efforts so far, and silver is certainly on the way!